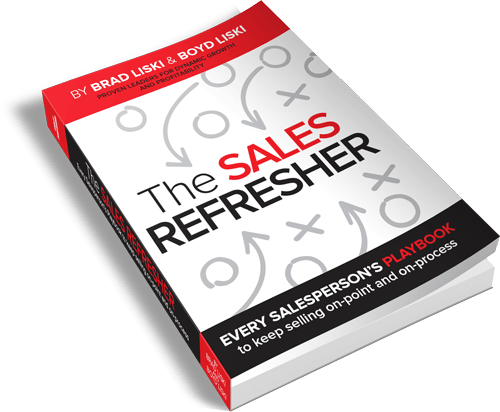 Why do salespeople always need to be refreshed on the selling basics? Many think that great salespeople are born. They believe that they are naturally skilled and unlike other professions, they actually are gifted at birth with the wiring to be a master in the art of selling. They feel that career maintenance and other training investments are a waste of resources – time and money. Wrong. Salespeople, like other professions, must continually reinforce and refresh the mastery of their fundamental skills to be successful and to reach their highest potential. Indeed, outstanding salespeople make it look so easy. However, higher performance usually indicates that a salesperson has invested the time to hone their skills and is continually engaged to better HELP their prospects. That's why The Sales Refresher was created. This book’s purpose is to help Sales Professionals (people who have chosen Sales as their profession) continually hone their skills, find new effective techniques or shift from aggressive win-at-any-cost sales to HELP-based selling with integrity.